As they fly to their roosting sites in the tropical dry forests in which they inhabit, the echoing calls of Yellow-naped Amazons seem to be fading. This is a logical repercussion of the findings of recent research, which showed that the populations of this species, which is classified as Endangered, are markedly low and rapidly declining in Costa Rica and Nicaragua. 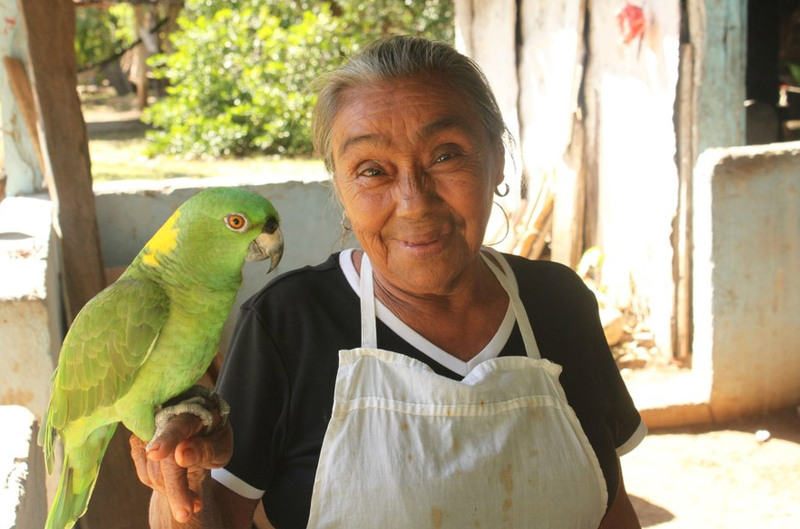 In partnership with NGOs in the country, Loro Parque Fundación is committed to trying to reverse this situation in south-west Nicaragua, with two projects underway dedicated towards the conservation of the species. One project is being conducted in the Paso del Istmo together with Paso Pacífico, and the other in the Ometepe islands in Lake Nicaragua with Fauna & Flora International and the community group Loreros Observando y Conservando Ometepe (LOCO). As with other parrot species, Yellow-naped Amazon is in decline across much of its range (R J Schuerger). A Central American species, Yellow-naped Amazon is found on the Pacific slope from southern Mexico to northern Costa Rica, and on the Caribbean slope in eastern Honduras and north-eastern Nicaragua. It appears to be threatened throughout its range, perhaps none more so than in the area where the research was conducted. The researchers emphasise that accurate assessments of population sizes and trends are fundamental for effective conservation of species, especially for social and long-lived species such as parrots, in which low reproductive rates, aging demographic structure and small populations might interact to propel rapid declines in those populations. In the parrot family, these life history characteristics combine with habitat loss and capture for the pet trade, resulting in many threatened species. 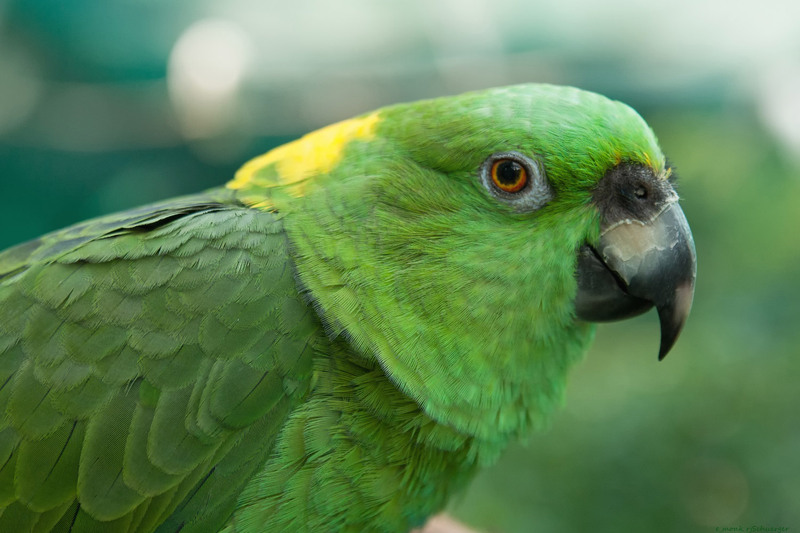 Parrots remain extremely popular in the pet trade, which inevitably leads to population declines as wild birds are caught to satisfy ongoing demand (C Chambers). In 2016, the researchers conducted a comprehensive survey of 44 night roosts of the populations in northern Costa Rica and southern Nicaragua, and compared the numbers in Costa Rica to those found in a similar survey conducted in 2005. In 2016, they counted 990 Yellow-naped Amazons across 25 sites in Costa Rica and 692 individuals across 19 sites in Nicaragua, giving a total population estimate of just 1,682 birds. Comparisons of the counts made in 2005 and 2016 at 13 surveyed Costa Rican sites showed significant population declines over the 11-year period. Evaluation of group sizes approaching or leaving roosts indicated that fewer than 25 per cent of groups consisted of three or more birds, and there was a significantly higher proportion of these supposed family groups observed in Nicaragua than Costa Rica. In the Ometepe islands, there were 567 individuals counted at five sites, with an average of 40.8 per cent of pairs with young, whereas at three sites in the Paso del Istmo, only 35 amazons were counted, with between 11 and 100 per cent (average 67 per cent) of pairs noted with young. The results of the research are worrying for the future of this species in the region that has previously been considered its stronghold. This is further stimulus for Loro Parque and its partners to take even stronger conservation action to protect remaining populations from capture for the pet trade and loss of key habitat. Wright, T F, Lewis, T C, Lezama-Lopez, M, Smith-Vidaurre, G, & Dahlin, C R. 2018. Yellow-naped Amazon Amazona auropalliata populations are markedly low and rapidly declining in Costa Rica and Nicaragua. Bird Conservation International, doi:10.1017/S0959270918000114.